Students come to college to learn how to be the architects of their lives. 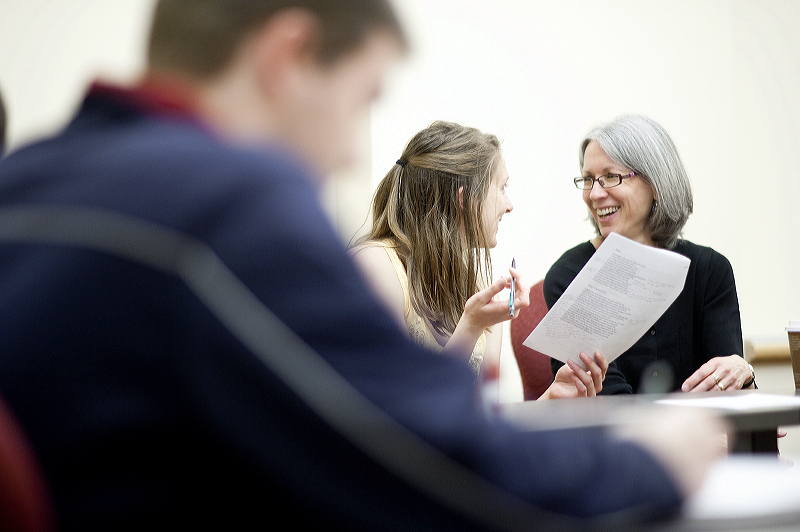 A Denison education expands our students’ knowledge, opens their horizons, and tests and refines their aspirations. We unlock our students’ potential and give them the skills, values, habits, networks, and experiences needed to launch into successful lives. How are Denisonians doing after graduation? Within six months of graduation, 85 to 90 percent of alumni are employed, in graduate school, or completing post-graduate service (Teach for America, Fulbright, Peace Corp, AmeriCorps, Lutheran Volunteer Corps, and City Year). These charts illustrate the outcomes for students in the three most recent graduating classes. Note that the data are based on especially strong reporting rates, making this a very strong representation of the early success of Denison alumni. A Denison education prepares students to compete for highly selective and prestigious international and national fellowships. These awards, including Fulbright U.S. Student Program awards, Gilman (for study abroad), Truman, Goldwater, and National Science Foundation scholarships, provide opportunities for Denison students and graduates to study and work abroad. The Lisska Center for Scholarly Engagement supports students in their applications for these awards. Other prestigious awards won by Denison students include the Truman Scholarship, the Beinecke Scholarship, the Barry M. Goldwater Scholarship, the Boren Scholarship for International Study, the Critical Language Scholarship, National Science Foundation (NSF), Graduate Research Fellowships Program (GRFP), scholarships from the German Academic Exchange Service (DAAD), Humanity in Action, and the Udall Scholarship, as well as many other fellowships. Since 2008, Denison has been a leader among small colleges producing the greatest numbers of Peace Corps Volunteers. In addition, Denison graduates win prestigious and highly competitive positions with Teach For America, and consistently place at the top of our peer group in national rankings. Note: The post-Denison outcomes provided reflect aggregate data for the classes of 2013, 2014, 2015, 2016, and 2017 collected within six months of graduation for each class. These data are collected between May and November for the graduating cohort. What impact does a Denison degree have from the perspective of alumni five years after graduation? This survey highlights the current professional status for alumni five years after graduation and all the ways in which the Denison experience positioned alumni to lead successful lives—personally, professionally, and civically—after college. At the five-year mark since commencement, nearly all alumni (99%) are currently employed or in graduate school. Alumni indicating “other” typically referred to being in a period of professional transition, articulating upcoming plans for graduate school or forthcoming entrepreneurial or artistic endeavors. Using survey responses and professional profiles (LinkedIn), data on current status are based on an 80% knowledge rate for the members of the Class of 2010, 2011 and 2012. 95% of alumni report being in their desired field or position or on their way to achieving what they hope to accomplish professionally within five years of graduation. 94% of alumni are satisfied with how well Denison prepared them for professional success after college. Since graduating from Denison, 60% of alumni went on to pursue an advanced degree. Note: Master’s includes various types of Master’s Degrees including MA, MS, MPH, M.Arch, M.Div., M.Ed, MPP, MSW, etc. MD category also includes DO, DMD, DPT, DVM, and OD. 89% of alumni report Denison prepared them very well for graduate school. 86% of alumni report Denison prepared them very well for interpersonal relationships. 69% of alumni report Denison prepared them very well for civic engagement. Reflecting back on their time at Denison, 92% of alumni report having close relationships with faculty and staff and 50% report having a research experience with a faculty member. Most alumni report that these experiences were critically important to their post-Denison success. The majority of alumni report that their co-curricular involvement (those who participated in internships, off-campus study programs, student organizations, athletics, and/or leadership positions) significantly impacted their post-collegiate success. Where has a Denison education taken our alumni? We encourage students to explore and to take full advantage of the liberal arts. The very core of the liberal arts is that we prepare students to be successful in whatever profession they choose to pursue by providing them with skills in critical thinking, effective written and oral communication, leadership and civic engagement, and individual agency. 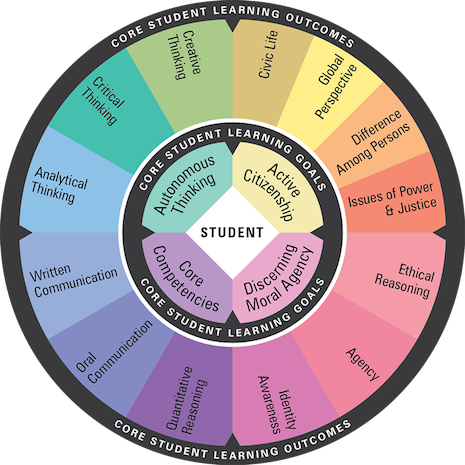 Through these core outcomes, we prepare students to live and lead in a complex, global society. Coming to Denison I was undecided about what career path I wanted to pursue after college. The liberal arts experience allowed me to gain versatile experience that is transferable throughout many fields. Gaining valuable writing skills, presentation of research, and participation in various clubs and organizations prepared me to grow in the corporate world. 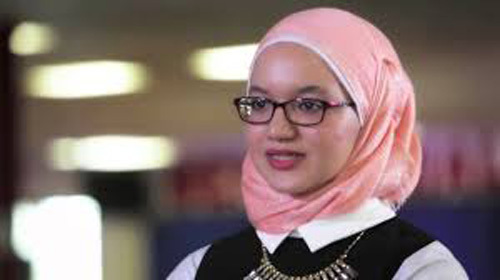 My Denison connections and education ultimately helped me get a job with Columbus’ biggest employer, Nationwide Insurance. 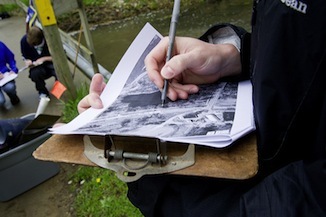 My role as a Claims Analyst has allowed me to travel to other states and assess catastrophic losses after weather disasters and while in Columbus, I get to use the skills I obtained in my economics courses and analyze claims data as well as brainstorm with other associates on how we can improve our processes. Thanks to all my extracurricular involvement and collaborations with organizations on campus during my time at Denison, I am able to bring these skills to the conference room and contribute to Nationwide’s growth and development. As a 2015 Denison graduate, I am grateful for four years of being encouraged to think with a curious and critical mind. As I grow personally and professionally, I'm finding the world requires us to make connections across disciplines, think critically, and navigate ambiguity—three skills a liberal arts education instills best. At Denison, the relationships I built will never leave me. My professors and peers challenged me to think through complexity and inspired me to form points of view. Denison generates an exciting energy around learning and growing as an individual, and it is something I am homesick for each and every day. “Who I am as a person today is tied, in no small part, to my time at Denison. My core values— justice, social responsibility, and a pursuit of knowledge— were all cultivated at Denison, and were similarly valued by my fellow Denisonians. The conversations I had at Denison instilled within me a sense of empathy that acknowledges the common humanity of individuals, which has been invaluable in divisive social climates. The wealth of resources provided by Denison ensures that students are able to experience an extraordinary degree of personal, educational, and social growth. The kind of mentorship Denison offers is unparalleled, as is the caliber of its educators; I would not be pursuing my current educational goals if it weren’t for the deep admiration I have for my professors and advisors, as well as the encouragement they provided. “At Denison, I worked very hard to excel academically, but I was also engaged in service learning and student leadership, while also maintaining outside interests and personal relationships. My three roommates and I had four different majors and sets of activities, but we always made sure we had time for family dinner at least once a week. We took road trips. Everyone came to my concerts in the Bandersnatch. I went to almost every women’s basketball game. Good friends off the hill would have me over several times a month. When I started at Denison as a freshman in 2010, I had no plans to go into the private sector – frankly, I had no idea where I’d end up. Four years later, I’d had an amazing and formative experience as a student at Denison, and I knew that Nielsen – a leading global market research company – was the right place for me to begin my career journey. It was at Denison that I developed my love of research, and gained very practical real-world experience as a research assistant. Now that I’m here at Nielsen, I find the habits and mindsets that I picked up at Denison help me every day. Since I don’t come from a business school background, I was nervous that I’d be behind the curve as I started in my new role. It turns out that my experience has been just the opposite. Sure, it took a few weeks to pick up all of the new vocabulary, but market research is, at its heart, all about analysis, drawing out insights, and communicating them clearly and effectively both internally and to clients – all skills that I developed in the classroom and in leadership roles at Denison. Additionally, the adaptable mindset that I developed at Denison comes in handy when I need to learn how to use a new platform, or build a new type of report. One of Nielsen’s core values is openness. That’s an attitude that I learned very early on at Denison. Now, I find that I listen to new ideas with receptivity, and I don’t turn down an invitation to work on a new project because it seems unrealistic or out of reach. The ability to take risks and to push the boundaries of my comfort zone has made me much more valuable to my team, and will be important factors as I move forward both professionally and personally! My Denison experience helped me become a more efficient communicator which is essential to my job in admissions at Purdue University. From presentations on research and constant engagement in the classroom, to assisting as a panelist and host in the Denison Admission Office, I learned how to effectively communicate with others. 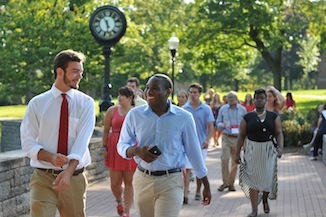 I am able to connect with students daily on a personal level about the college experience because I am able to reflect on the many opportunities Denison had to offer. Denison challenged me to think outside of the box and step outside of my comfort zone and I am so happy to have had the experiences that I did during my 4 years on the hill, because they helped shape me into the professional I am today. “I don’t know where I would be today without having spent 4 years at Denison. I credit Denison with helping me to mature, helping me to see the world differently, and above all helping me to work with all sorts of different people and cultures. No matter what our career, we have to do these things in our jobs every day, and I have noticed that fellow Denison grads and myself seem ahead of graduates of other universities in terms of our work ethic, vision, and ability to think outside the box and be open to new ideas and cultures. If I could do it all over again, I would absolutely choose Denison. 100%. How does Denison prepare students for life after college? Starting with your first year on campus, and continuing five years after graduation, you’ll learn to combine your academic knowledge, values, and habits with the career-oriented skills, networks and experiences you need to be the architect of your own life. How do careers and professions fit into those lives? How do I use my time in college to develop the skills, values, habits, experiences and networks to get started? You can tap Knowlton Center resources for career exploration over the entire four years of your time at Denison, and for five years after graduation. 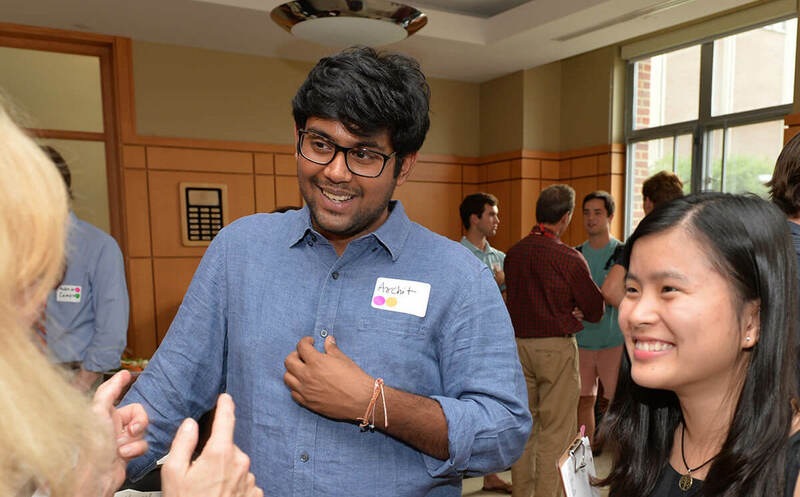 Denison Connecting adds the power of almost 40,000 alumni and friends to your career network, getting together at events around the world to network and learn from fellow alumni and industry experts. Off-campus study opportunities and academic engagement & research further your experiences at Denison and beyond. Featuring upcoming events and other opportunities for Denison alumni, parents, friends, students and faculty/staff to connect. Use the interactive graph to the left to learn more about how students who responded felt about their Denison education. Denison students are highly engaged in the co-curriculum, and 75% of Denison seniors report having held a formal leadership role in a student organization, which is significantly higher than students at similar institutions. 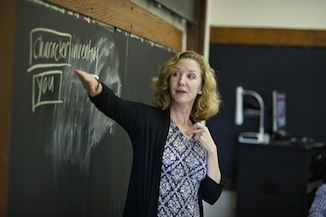 The Denison curriculum places a high emphasis on students’ ability to write well. Denison students reported writing significantly more than students at peer institutions (measured in number of pages). Denison professors are scholars in their fields but also are masters in the crafts of teaching and advising. Denison seniors rated the quality of their interactions with their faculty advisors significantly higher than students at other Carnegie institutions. Denison is a pluralistic community. The Denison experience provides opportunity to dialogue and learn from others. Denison students report dialoguing with others who are different than them (in terms of race, economic background, and political views) significantly more often than students at similar institutions. Denison students actively engage in the opportunities offered by Denison. In comparison to seniors at Carnegie institutions, Denison seniors were significantly more likely to have conducted research with faculty, completed an internship or field experience, or studied abroad. In comparison to seniors at other Carnegie institutions, Denison students were significantly more likely to say that their college experience contributed to knowledge, skills and personal development in: writing clearly and effectively, speaking clearly and effectively, and thinking critically and analytically. Forming a new idea or understanding from various pieces of information. Combined ideas from different courses when completing assignments. Connected your learning to societal problems or issues. Included diverse perspectives (political, religious, racial/ethnic, gender, etc.) in course discussions or assignments. Examined the strengths and weaknesses of own views on a topic or issue. Connected your ideas from your courses to your prior experiences and knowledge. Note: These graphs compare Denison data to “Carnegie” and “National.” As classified by the Carnegie Commission on Higher Education, Denison’s Carnegie Classification is Baccalaureate Colleges—Arts & Sciences, thus comparing Denison to a group of similar institutions, mostly comprised of small, private colleges. “National” represents the data from all 983 institutions participating in the National Survey of Student Engagement in 2017.